Your Apps are the most important parts of your device. After all, apps make the device functional. But sometimes, you might turn on the device only to find some apps are missing and you don’t remember that you have deleted them. If you didn’t delete or move the apps, there are several reasons why you may not be able to see or use them. One of them is that they may be hidden using the content restrictions feature of your device. 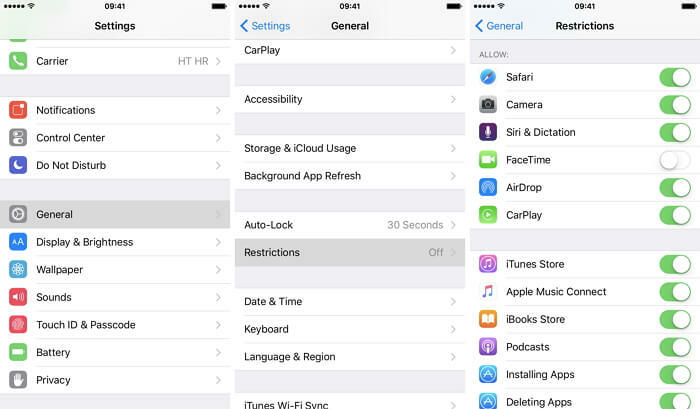 Content restrictions can hide several apps including Siri, Safari, Camera, FaceTime and more. It is a useful feature that can be used to restrict the use of certain apps and settings. Like for instance, a parent can use Content Restrictions to keep their children from accessing certain apps and settings. Whether or not your apps are missing for content restrictions, this article will help you get them back. 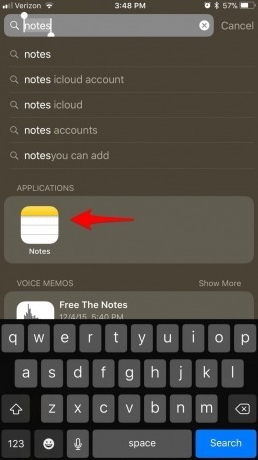 Spotlight Search can help you locate any missing apps on your iPhone. This way, you can tell if the app is still on your device or if it has been deleted. Here’s how to use Spotlight to locate them. Step 1: Swipe down from the center of the Home screen to activate Spotlight Search. Step 2: Type in the app’s name in the Search filed and spotlight will display a list of search results. Tap to open it. Step 3: If the app appears under “App Store”, it is no longer on the device. You can tap on “View” to go to “App Store” to download it. If you are unable to find the app, you might want to check if it’s been restricted using Restrictions feature we have talked about before. It is likely that you or someone else with access to the device activated restrictions on that app. Step 1: Go to Settings > General > Restrictions on your iPhone. Step 2: You may be required to enter a password to see the apps that have been restricted. Once you enter the password, you can simply turn off restrictions on the particular app and it will appear on your Home Screen. Most people use iTunes to backup and restore their devices but while it is a reliable method, there are those who have reported that after restoring via iTunes, their apps began to behave weirdly. If you’ve already restored the device via iTunes and the apps are still missing, reset everything on the device and restore via iCloud. If the missing apps fail to appear even in iTunes or they don’t appear on your device when you sync with iTunes, head on over to the “Purchases” section in the iTunes store (it is located under “Quick Links”). Here, you’ll find the apps you’ve already downloaded and you can then just re-download them and sync them with the device. Alternatively, you can simply re-download the apps manually. 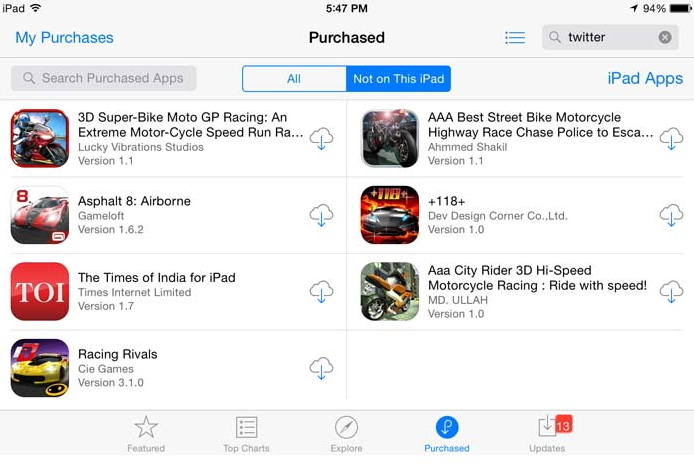 Apple will display the apps that you’ve already installed to make the process easier. Here’s how to do it. Step 1: Go to the App Store on your device and then tap on “Updates”. Step 2: Tap on “Purchased” and then tap on “Not on this Phone”. Step 3: Here, install the apps you need back on the device one by one. The most distressing part of losing some of your apps is losing the app data that goes with them. 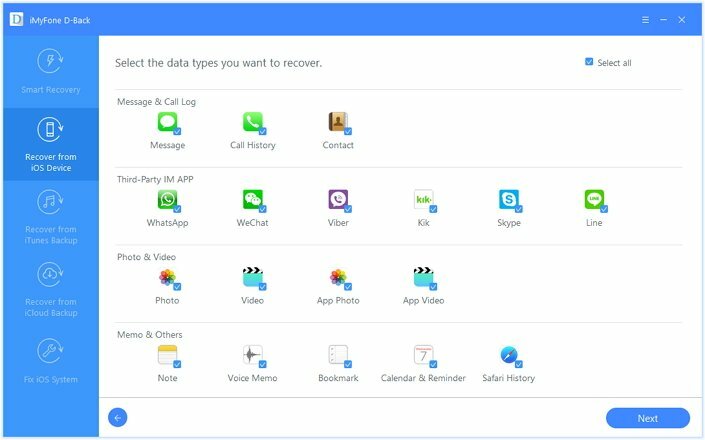 Re-downloading the app might get it back, but you may not be able to recover the missing app data as easily. 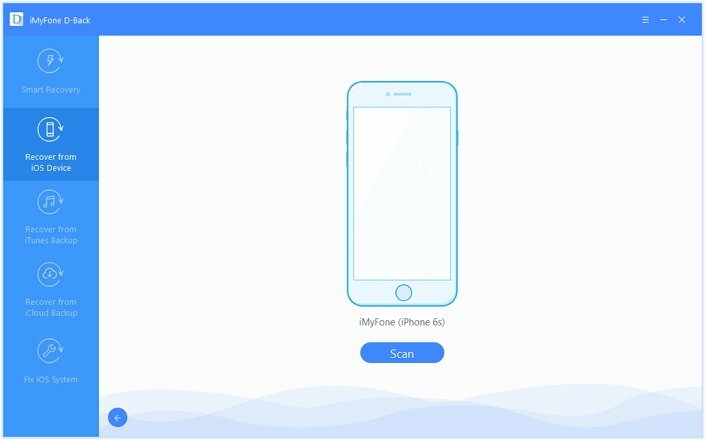 Is It Possible to Find Missing App Data from iPhone? Yet, the way your iPhone stores data might be helpful to you. The iPhone organizes data on a database called SQLite. When data is deleted, the database changes the deleted data from “Allocated” to “Unallocated” but doesn’t completely erase the data. However, when new data is added to the iPhone, it automatically occupies the “Unallocated” slot, thereby overwriting the data on it. It is hard to get back the overwritten data, so do not use or turn off your device after losing data to prevent overwriting. A third-party data recovery tool like iMyFone D-Back might be able to recover the data as long as it is not overwritten. 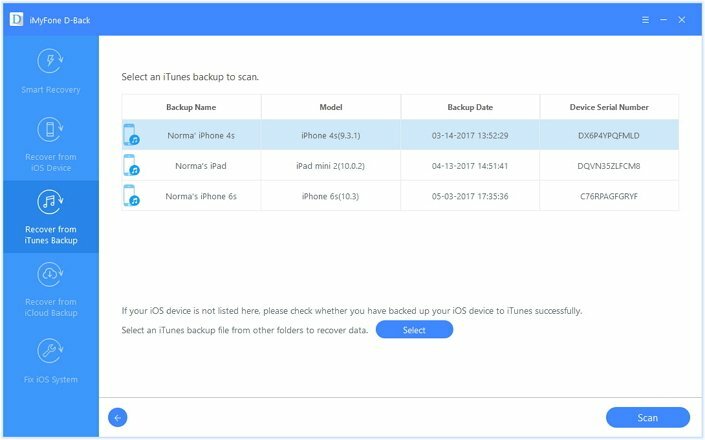 iTunes and iCloud can backup both deleted and existing data but users cannot access the data even if they restore the device. 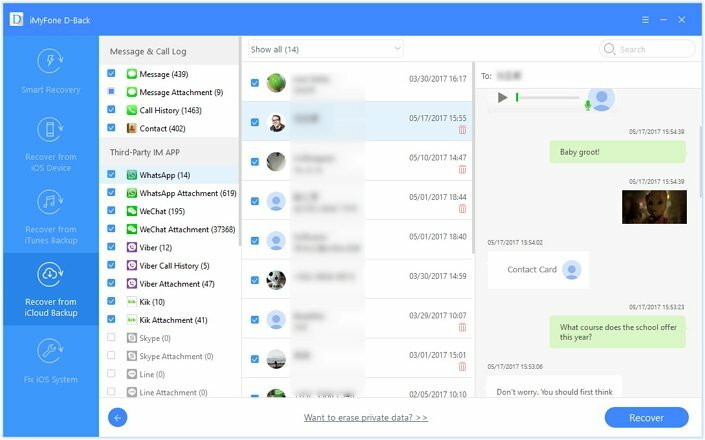 A program like iMyFone D-Back allows you to view the existing and deleted data and thereby recover it easily. 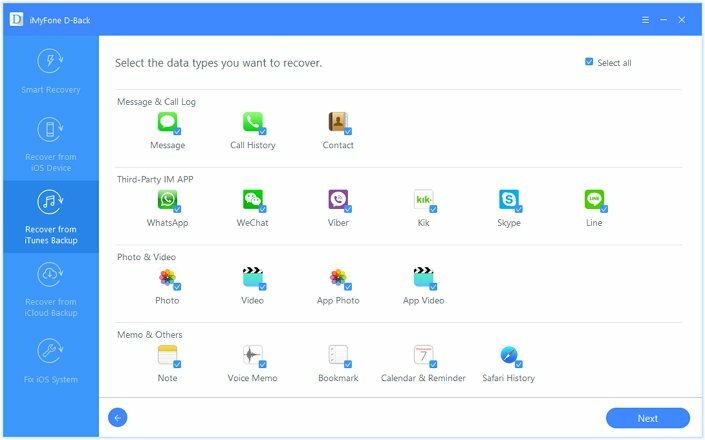 We will share with you how to use D-Back to recover your deleted App data simply. Here the following are just some of its features. 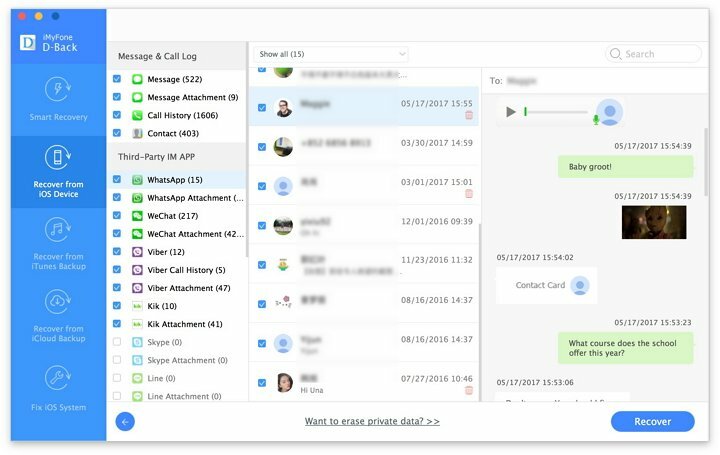 It can be used to recover more than 18 different types of data including many third-party data like WhatsApp, Viber, Kik, WeChat, Line , Notes, Camera Roll and etc. It is fast and effective. You’ll have your recovered data on computer in just a few minutes. It can also be used to extract data from iTunes or iCloud backup file which is ideal when you have a backup but don’t want to restore the whole backup file. Download and install iMyFone D-Back to your computer and then follow these simple steps to recover your missing app data. Step 1: From the main window on the program, select “Recover from iOS Device” and then click “Start”. In the next window, select the type of data you would like to recover. Click “Next” to continue. Step 2: Next, connect the iPhone to the computer using USB cables and wait for the program to recognize the device. Click “Scan”. Step 3: Once the scanning completes, select the files you want from the results and click “Recover” to save them to your computer. If the data you lost is in an iTunes backup file, follow these simple steps to recover them. Step 1: Select “Recover from iTunes Backup” in the main window and then click “Start”. Proceed to choose the type of data you would like to recover and then click “Next”. Step 2: Select the most relevant backup file from the list of backups in the next window and click “Scan”. Step 3: Finally, choose the files you want to recover from the results page and then click “Recover” to save them to your computer. 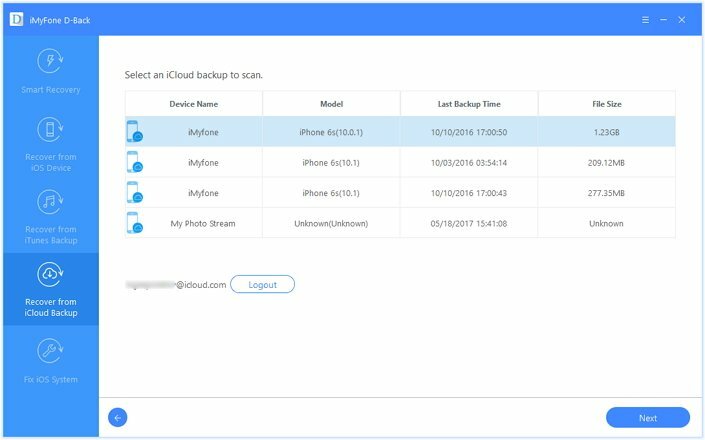 If the lost data is in an iCloud backup file instead, follow these simple steps to get it back. Step 1: From the main window, choose “Recover from iCloud Backup” and click “Start”. Then, in the next window, choose the type of data you want to recover and click “Next” to continue. 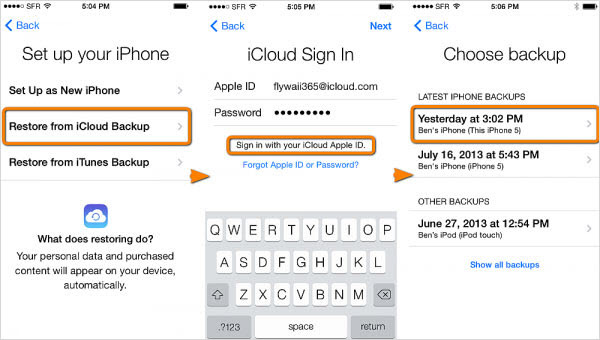 Step 2: Sign in to iCloud with your Apple ID and password. Once signed in, select a backup file from the list and then click “Next” to allow the program to download and scan the file. Step 3: You should then see all the files in that backup file in the next window. Select the ones you would like to recover and then click “Recover.” Choose a location on your computer to save the recovered data. Do not hesitate to try these useful methods to get missing apps back on your iPhone. If you have any other doubts or great ideas, feel free to leave a comment below.